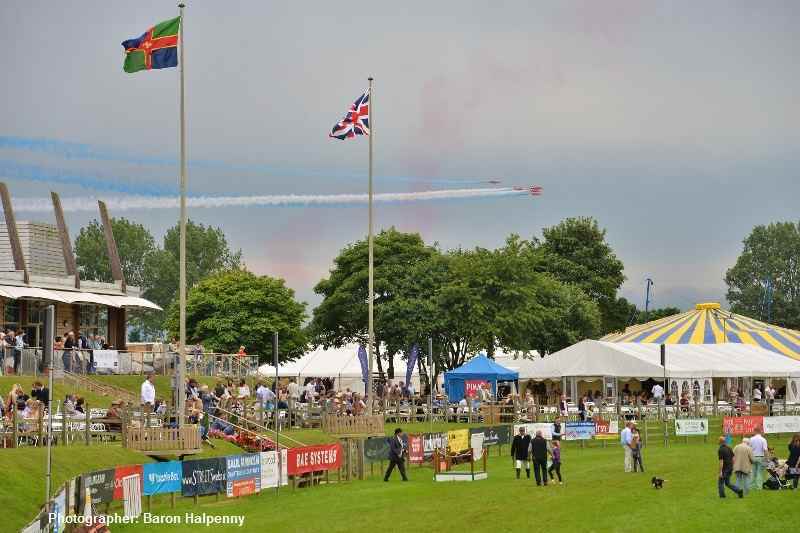 In glorious sunshine, Lincolnshire Show got off to a great start on Wednesday 21st June as crowds turned out in their thousands to enjoy the many attractions that exhibited on the showground. Entertainment featured in the Main Ring on the opening day included Broke FMX displaying their dare-devil motorbike tricks, the Lincolnshire Show Midday Stakes Showjumping competition and the Grand Parade of Livestock and Horses. Lincolnshire Show is firmly grounded in tradition and one of the biggest cheers from the crowd was given to the Parade of Hounds which featured in the Main Ring on both days of the show. Although mostly overcast on day two, Thursday's showgoers did not let the cooler temperatures and rain dampen their spirits as they enjoyed a whole feast of entertainment including the popular Shetland Pony Grand National races. This event for young jockeys aged 8-13 years old gives them a grounding in the world of racing as they travel to different venues across the UK and compete to win a place in the final at The Olympia Horse Show in London. Away from the Main Ring, the Countryside Ring drew the attention of the crowds as visitors were given the opportunity to get up close to horses, hounds, birds of prey and tortoises. Lincolnshire Police, Lincolnshire Fire and Rescue and LIVES worked together to demonstrate their work whilst elsewhere on the Showground visitors were challenged to put on a firefighter's kit in under a minute! Flypasts by both the Hurricane (Wednesday) and the Red Arrows (Thursday) as well as a whole host of stands showcasing Lincolnshire businesses and charities meant that there really was something for everyone at this year's show. Aside from the entertainment, our county show is the big event in the year for Lincolnshire farmers who enter a variety of livestock into competition. Prize winning sheep, pigs and cattle were very popular with the crowds as visitors young and old were able to walk through the tents and see the animals up close. As has become tradition at Lincolnshire Show, the penultimate act in the Main Ring gave the stage over to Lincolnshire Young Farmers Clubs who paraded their decorated trailers. This year's theme was storybooks with Louth Young Farmers Club taking the honours with their interpretation of The Lion the Witch and the Wardrobe by C. S. Lewis. You can see over 400 of our photos from the Lincolnshire Show 2017 on our Facebook page » » HERE! « «.